When I get into a car, I have a few basic expectations of how the car will work. There will be a steering wheel, gas pedal, brake pedal, etc. Some things, like the radio and air conditioner, I know will be different and take a few moments to get oriented to, but it’s not going to be rocket science. Late Monday night, I had flashbacks to my first days as a driver when I didn’t feel one hundred percent comfortable in the car. It started with sitting in the parking lot of the car rental agency in the Chevy Captiva that they had given me looking for the power outlet to plug my cell phone’s car charger in to which was nowhere to be found. Feeling a little foolish for not being able to identify a basic car feature, I flagged down the attendant and he pointed out where it was, underneath a set of sliding cup holders in the center console. So, with this important task out of the way, I pulled out of the rental agency and drove to my hotel. Upon parking, I found myself again scratching my head and growing increasingly frustrated with my car. I was on a slight incline and wanted to engage the parking brake, something my father had taught me to do whenever parking the car. First, I tried engaging it with my left foot which is where the parking brake is located in both of our cars. My foot hit nothing but air and the floor. Then, I looked to my right to see if it was a hand brake, but there was nothing there (yes, I did look to see if it was below the cup holder with the outlet). I kept looking all over the dashboard and floor of the driver’s seat, but I couldn’t identify it. The car had to be designed with an emergency brake, right? Would you know where the parking brake is? 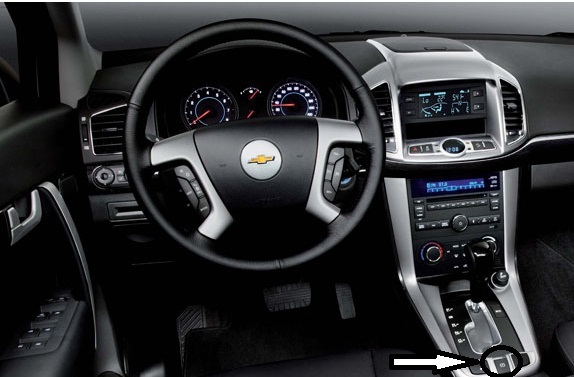 Finally, after a short struggle to locate the car’s interior lights, I opened the glove compartment, pulled out the manual, and identified a small button, pictured here, below the gear shift that engaged the parking brake. Needless to say this whole process was completely counter intuitive. The car’s designers had not taken into account what we were used to in designing this feature and instead, for whatever reason, had created a brake that was completely different from most other cars. Their lack of thinking about the user’s experience lead to a high level of frustration for what should have been a very simple task. In designing experiences for our faculty, students, or parents, we need to think about how they are going to interact with it. When they approach a learning experience or a faculty procedure will they know what to read, where to click, or what to do? Or will it run counter to what they are expecting and then potentially run into frustration. This does not mean that learning experiences can’t be challenging or that a process can’t be complicated. It just means that the user’s experience needs to include instructions, reference material, or guidance. My driving experience lacked any of this until I took out the car’s manual which is not something that most of do on a regular basis. I’m sure that the car’s drivers have gotten use to this strange arrangement. I know that several years later, I’m used to the push button ignition button in my Prius and the funky joystick that serves as a gear shift. When I bought the car, the salesman pointed out these changes from the norm and made sure that I understood how they worked. If the rental agency attendant had just pointed out this unusual arrangement, I might have avoided the whole ordeal. Simply put, design matters. Put yourself in the shoes of your users and try to walk a mile in them. If you trip, get blisters, or can’t even get started, redesign the experience.